Napoléon Peyrat came from the Protestant part of the Ariège; he wrote a history about this area in both French and Southern French dialect (‘langue d’oc’) in which he described its traditions and the riches of its cultural inheritance. His work on French Protestantism at the time of the ‘Desert’ (secret assemblies) (1685 – 1791) and the Cathars was widely recognized. He was a pastor at the church of Saint Germain en Laye in Paris. During his time there he witnessed the siege of Paris by the German army (1870 -71). Napoléon Peyrat was born on 20th January 1809 in Bordes sur Arize, a small village in the Protestant part of the Ariège, not far from the d’Azil and Carla-Bayle. His grandfather, who had been a supporter of Napoleon, was the local mayor. As his mother died very young he was brought up by his aunts. 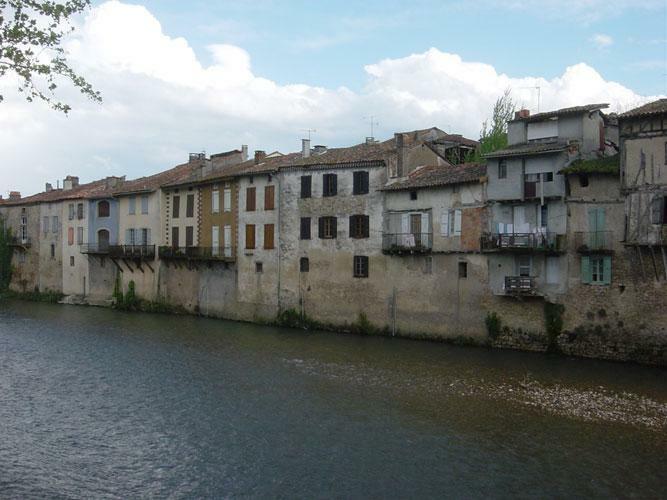 In 1823 he went to a school run by Pastor Jacques Rosselloti in Chatillon-sur-Seine. In 1826 he began to study theology at the University of Montauban; in 1831 he wrote his thesis on Christianity in the XIXth century. The ideas he expressed on practical and theological aspects of the Church discouraged him from taking orders at this stage. He became a tutor to Protestant families in Paris and later in Bordeaux. 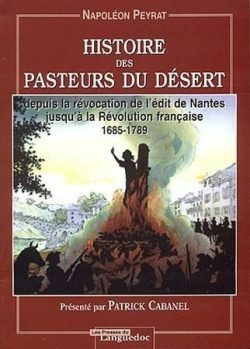 Apart from his teaching, Peyrat undertook research into the history of Protestant minority groups in France; he was also interested in the history of the Cathar movement, which was persecuted by the Inquisition in his native province. He gave voice, often passionately, to the thoughts of those who had been vanquished: the Protestant rebels of the Cevennes, the Camisards, on the one hand and, on the other, the inhabitants of Albi, who had taken refuge in the towering castle of Monségur. In 1842, he published a History of pastors of the ‘Desert’ (period of secret assemblies) from the Revocation of the Edict of Nantes until the beginning of the French Revolution. 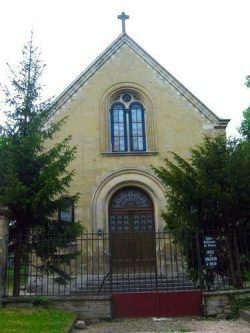 In 1844, he was appointed assistant pastor to the parish of St-Germain-en-Laye. He was ordained in 1847 and became the church’s main pastor in 1854, after his marriage in1851 to one of Marshal Randon’s nieces, Eugénie Poiré, who was much younger than him. Napoléon Peyrat was now fully occupied, both as a pastor and as a family man. He had the ‘temple’ of Saint-Germain-en-Laye built in 1862, but he remained keen on historical research. He made the most of being in Saint-Germain to write a well-documented study of the Colloque de Poissy (1561). He also started to research into the life of Vigilance, who had reformed Christianity in the Pyrenees in the Vth century and seemed to have been a precursor of Luther. During the 1870 war, through no fault of its own, the parish of Saint-Germain-en-Laye found itself in a strategic position; after the defeat at Sedan, the German army deployed a significant number of troops around Paris. For this reason the temple was often required by the Germans for religious services. Napoléon Peyrat and his wife often interceded with the German officers on behalf of the French population in order to get around absurd or violent situations from arising. Napoléon Peyrat described what happened in the siege in a diary, very interesting journal not least because– it contained some realistic portraits of various officers and pastors. Strangely enough, there is not the slightest reference to the Commune in his diary, although it had started during the siege of Paris. Throughout his life, Napoléon Peyrat wrote moving poems about the horrors of persecution. Sometimes these were written in southern French dialect (langue d’oc) and sometimes in French, to show his loyalty to the Republic. This is why, when he was admitted to the Felibrige association (founded by Frédéric Mistral and others) in 1877, he joined the ‘Red Félibriges’ group, who were open supporters of the Republic. Napoléon Peyrat also wrote the Chronicles of the parish of Saint-Germain-en-Laye, which remain unpublished. 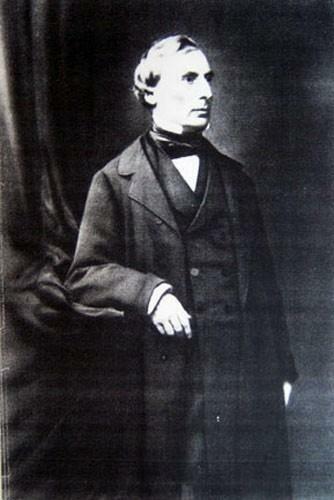 Napoléon Peyrat died in Saint-Germain-en-Laye on 4th April 1881.